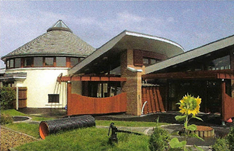 March: The £ 1.5 million Children’s Centre, likened to a fairytale castle, became operational at the Village Centre. by Stagecoach, underwent a £20,000 refurbishment to offer a wide range of services including health advice, workshops and information, as well as a place to ‘chill out’. April: It was independence day for the Preston Road Women’s Centre, which became the Winner Company, the first social enterprise to be created by the NDC regeneration project.